Enjoy a fast and stable wired connection with this USB 3.0 to Gigabit Ethernet Adapter. Includes a USB pass-through port so you can connect other peripherals. 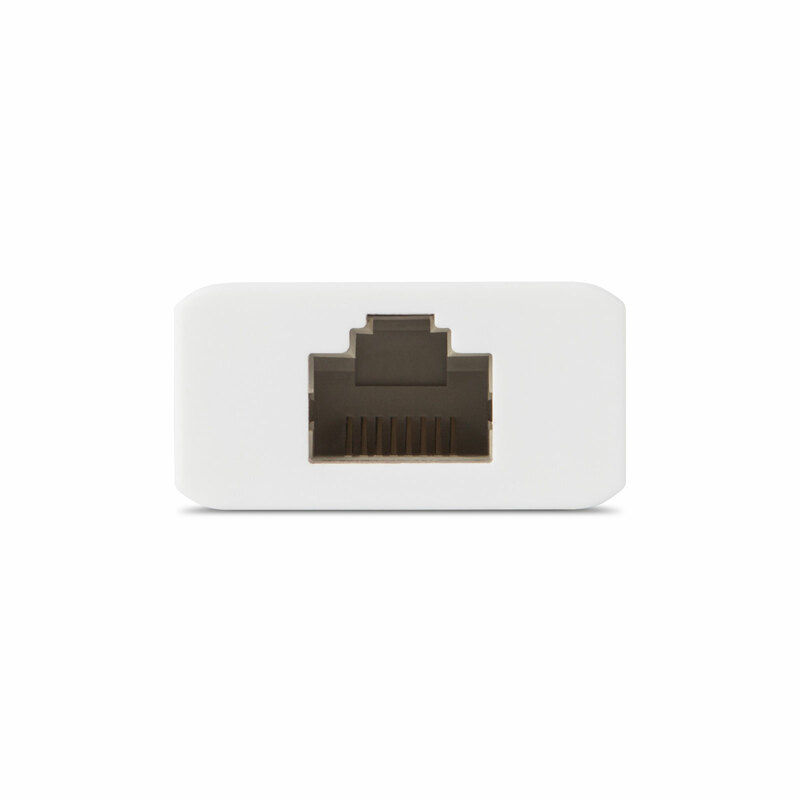 Enjoy maximum wired connectivity with Moshi's USB to Gigabit Ethernet Adapter. 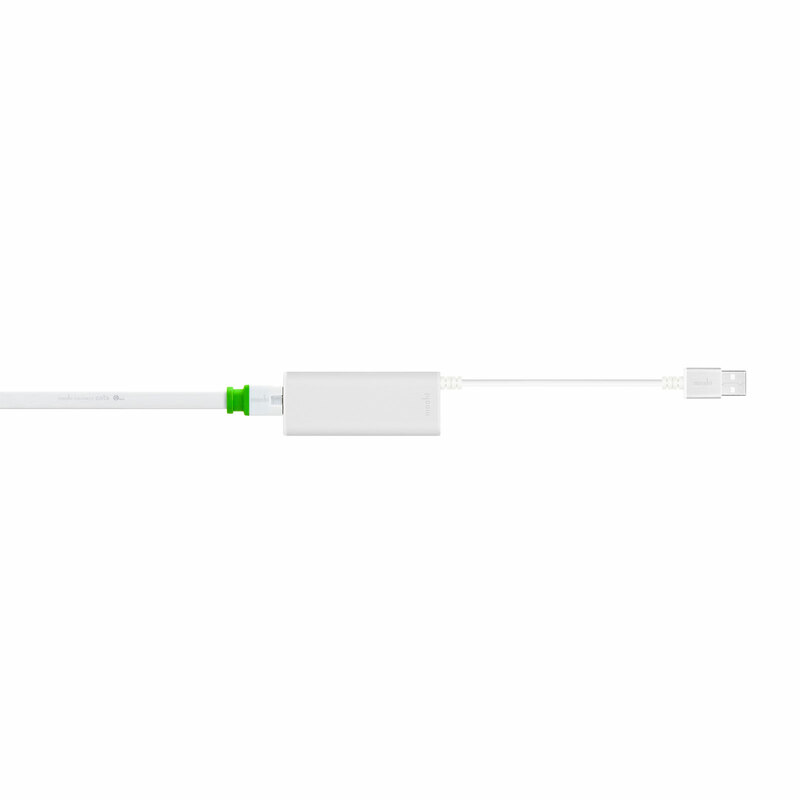 Using a SuperSpeed USB 3.0 port on your MacBook means your Thunderbolt port remains open for convenient docking to an external display. 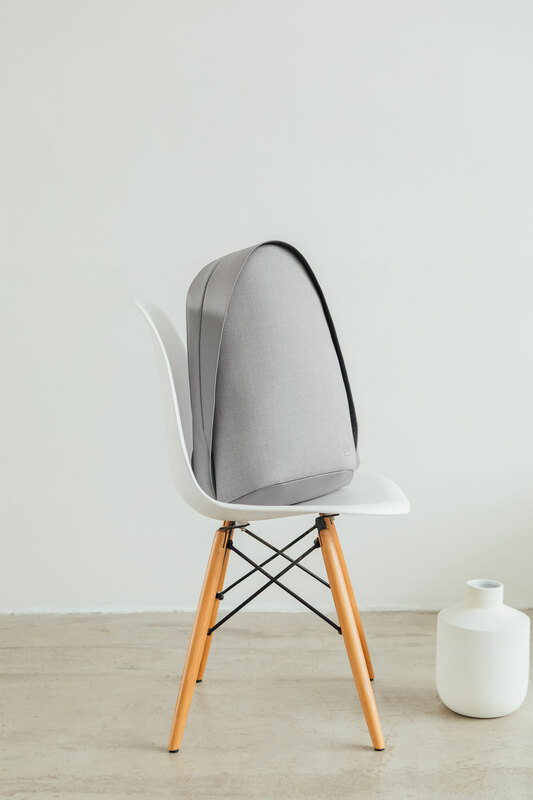 Encased in aluminum to minimize electromagnetic interference, the adapter is also 100% plug-n-play and requires no installation discs or external power. 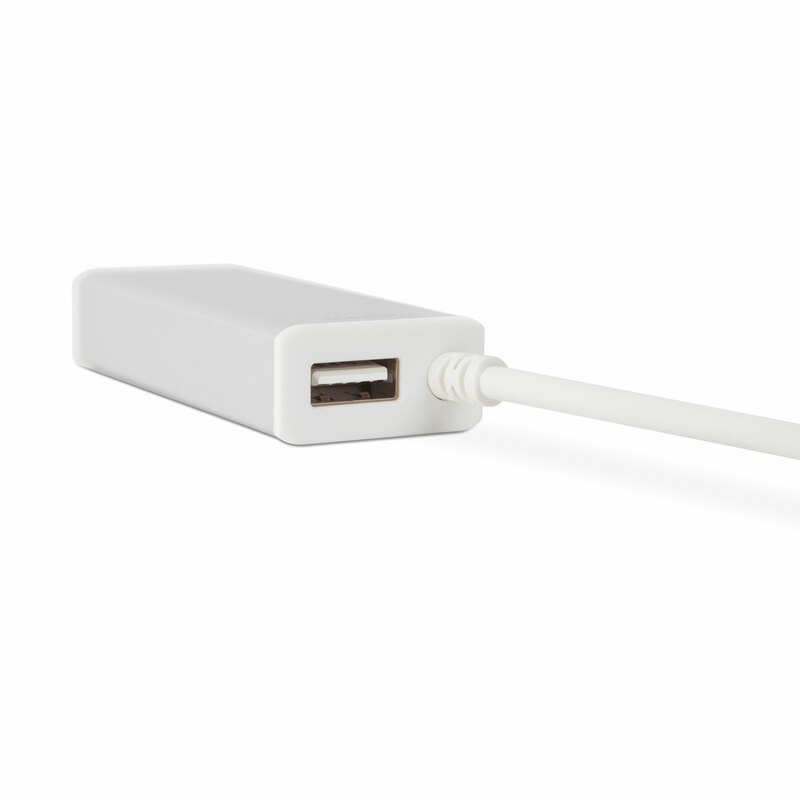 Best of all, it includes a USB pass-through port so your MacBook retains full USB 3.0 connectivity. 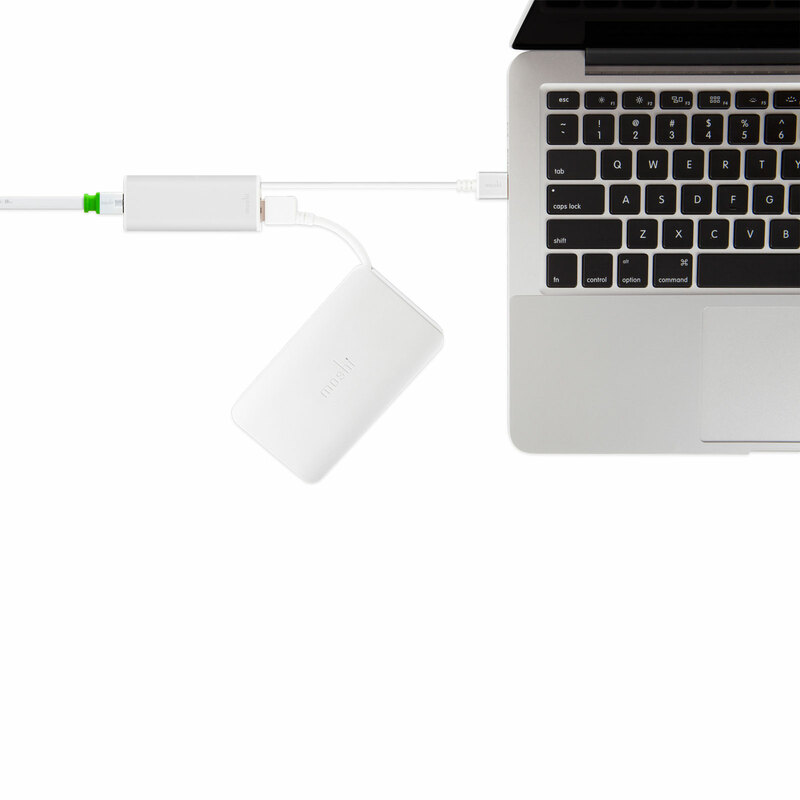 Connects your MacBook via Gigabit Ethernet for data transfer speeds up to 1000 Mbps. Anodized aluminum casing to protect from electromagnetic interference. 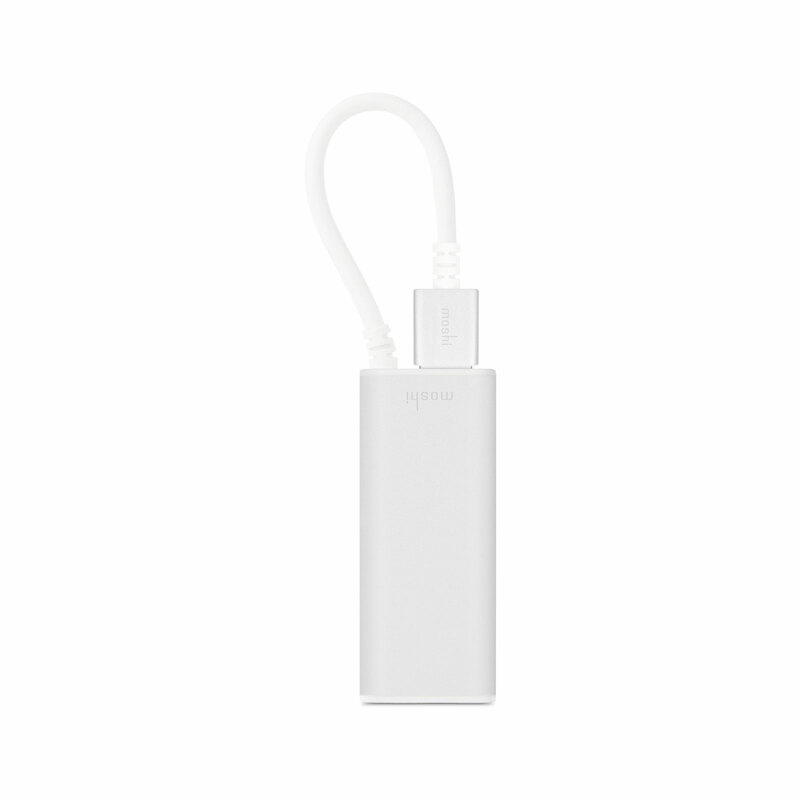 Includes a pass-through USB 3.0 port for maximum USB connectivity. Easy to setup and requires no installation discs or external power adapters.